Thank you for showing your interest in Seed ART Bank. Our surrogates desire to help prospective parents on the route to parenthood through gestational surrogacy. Many women come to us for becoming a surrogate mother to present the gift of parenthood. Seed ART Bank is here to make your experience- from the first consultation until the delivery- a successful one. It is our aim to guide and support you at every step of the surrogacy journey. Seed ART Bank is proud of our surrogate community. We treat our surrogate mothers as part of our family who make someone’s dream of family a reality. At Seed ART Bank we have the special privilege of working with surrogate mothers in India from a variety of backgrounds and from every corner of India. Our surrogates in India share us the feelings and feel like a team when they are connected with other surrogates. Our Program Coordinators facilitates the surrogate-parent relationship during the matching process of the surrogacy Program. Through our daily tasks, we do psychological counselling; organize surrogate family events and social communities for our surrogate mother in Delhi. We understand the how important is the right match for intended parents and we have been able to make the best matches between a surrogate and the intended parent. Our experience has educated us that matching does matter. For every successful surrogacy journey, the right match lays the foundation for the entire surrogate process thus bringing out the possible outcome. Unlike other surrogate agencies in India, our matching methodology is a step-by step process that can save time and anxiety between the two parties. Since all surrogate candidates applying at Seed ART Bank are thoroughly screened that make our approach a one step ahead. Surrogacy is a complex process that requires the utmost in care, attention, and compassion every step of the way. Seed ART Bank is a surrogacy agency in India that takes your hand and guides you through the process from the application to the delivery. We want this to be a beautiful, positive experience for everybody involved! For intended couples, there are numerous benefits for working with a surrogacy agency. You might have decided to begin the surrogacy program by choosing the gestational surrogate who can build your dreams of parenthood. For that to happen, Seed Art Bank, one of the India’s leading surrogacy providers can guide you through the surrogacy journey. Here are the best reasons to work with Seed. Provide Support: Working with a surrogacy agency can provide you support and guidance in the entire process. From screening to legal work, Seed Art Bank provides all aspects of support that an intended parent requires during the surrogacy journey. Legal Representation: Surrogacy laws differs from state to state and it keeps on changing with the advancement of reproductive technologies. Seed has full time lawyers who work with you in contracts. Screening & Selection: During the screening process, a full services surrogacy agency in India enables you to learn about the personal and medical background history of your donor, or surrogate and intended parents. Seed has the resources to conduct medical and criminal background check, to ensure the healthy pregnancy for a surrogate mother. Agencies also help intended parents during the matching process thus paving the way for smooth journey for all the parties involved including fertility clinic, surrogate and intended parents. The Middle Man: Seed Art Bank also allows facilitating the payment process between prospective parents and the surrogate, such as stipends and reimbursement for medical expenses. It makes intended parents to focus on the important things in your surrogacy experience – like building a good relationship with your surrogate or intended parents. If you are also planning to join surrogacy agency and want to get these benefits, Seed Art Bank is ready for you. Please write us at rita@internationalfertilitycentre.com or Visit us at http://www.seedartbank.com/ We will get back to you within 24 hours. Why do Women become Surrogates? Surrogacy is one of the options for couples to have child while surrogates not only get compensation but they fulfil their own dreams for carrying the child to term. No one gets into the surrogate parenting business only for the money purposes. For one thing, surrogacy agencies in India won’t allow it. According to Seed Art, Delhi-based surrogacy agency, surrogacy is increasingly common for people who cannot have children on their own. That’s why surrogate mother plays an important role for intended parents to have children, genetically related to them. “I am very happy that I become a successful surrogate for a foreign couple with their sperm and eggs. I already have children and am proud another family was created because of me,” says a surrogate from rural India who was also associated with Seed ART. Women who decide to become surrogates experience love being pregnant and have genuine interests to help a couple have a child. Surrogates readily come to help through agencies and using Assisted Reproductive Technology to create a family for childless couples. Many people have myths surrounding surrogacy services in India. However, in gestational surrogacy, which is more common, where the surrogate uses the intended mother’s eggs, or donor eggs, and the intended father’s sperm. With gestational surrogacy, an egg is fertilized and transferred to the surrogate mother’s uterus using IVF. In this case, the surrogate mother has no genetic link, and both intended parents can be named on the birth certificate. While there are few statistics on the surrogacy industry here, India has become a hub for medical tourism because of the availability of advanced technology, the large number of medical professionals and the relatively cheap costs. A latest research estimates that around 1,000 surrogacy births occur every year in India, but there is no official record-keeping for surrogacy and the involvement of surrogates in the process. The Indian Council of Medical Research, a government body, introduced guidelines for accreditation, supervision and regulation of surrogacy and assisted-reproduction clinics in 2005. Intended Parents are the legal parents, for a baby born to a surrogate with all the rights and responsibilities. The name of the surrogate mother is not mentioned on the baby’s birth certificate. ICMR guidelines are clear about this. The birth certificate will only carry the name of the genetic parents or of the single genetic father. In most cases, the clients’ sperm and egg are implanted in the surrogate’s womb, with DNA tests done after the birth to prove the genetic links to the couple and ease the issuing of a foreign passport. Surrogates in India only become a facilitator between agency and Intended Parents. Their role is limited to achieve pregnancy with using ART, everything else is the responsibility of agencies. Seed ART is proud of our surrogate community. You desire to help intended parents through Seed is generous and noble. Seed ART is here to make your experience – from the initial consultation until long after the delivery – a successful one. We are here to guide and support your journey every step of the way. So become a surrogate with us! Bringing a child is one of the most beautiful things in this world. Intended parents who wish to have children through third-party reproduction are increasingly crossing international borders to have the children with having genetic relationship with them. Seed Art Bank is one of the leading and established agencies in India which can facilitate the process of surrogacy for couples who cannot find surrogate mothers in their home country. We have large network of surrogate mothers who make the dreams of prospective parents come true by carrying their child to term. Our surrogate mothers in India are physically and mentally healthy with their age between 20 and 30 years old. All our potential surrogates mothers are thoroughly screened with their medical records and that they have had at least one healthy child of their own. For intended parents who want to seek surrogacy services through our agency, our surrogate mothers are ready to do fresh medical tests before the start of the program. Our doctors usually make the preparation for the embryo transfer one month prior to the surrogacy contract between Intended Parents and the Surrogate Mother. Our doctors at fertility clinics monitor cycles of surrogate mother at regular intervals. 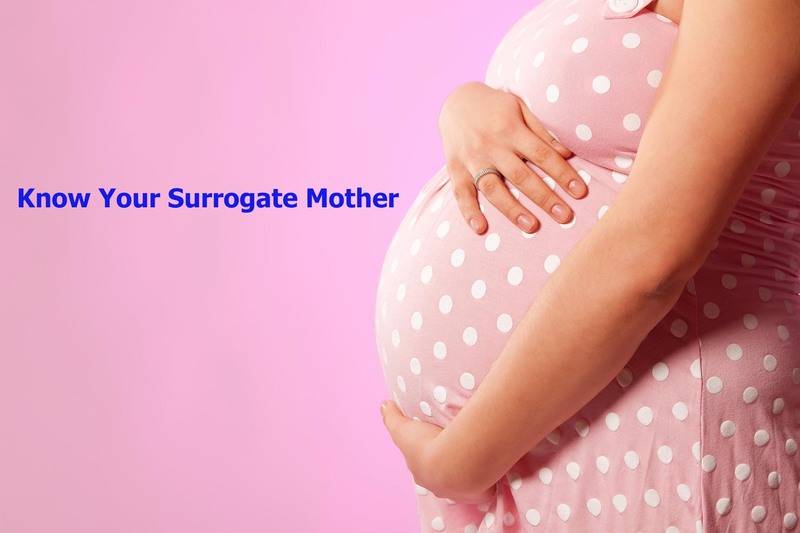 With maximum care and support, our surrogate receives all the medical procedures as prescribed by the doctors. The mission of our Surrogacy Program is that Intended Parents should be guided at every step until the moment they take their baby home. A new life affects everyone around you. After the embryo transfer, your surrogate does the blood test to determine the attempt was successful and pregnancy is achieved. After her pregnancy is confirmed, our Program Manager fully coordinates and takes care of all the necessary requirements of Surrogate Mother. The Program Coordinator informs the doctor about daily regimen, regular check-ups and screenings etc. This process goes on a continuous basis, with a suitable accommodation for surrogate mothers at fertility clinic where her doctors perform regular check-ups until delivery happens. Our legal team makes all necessary arrangements with the fertility clinic and prepares all the documents for the baby birth registration. Let’s start exploring the world of surrogacy through Seed Art. Seed Art has proven itself as one of the best and is one of the largest surrogacy and egg donation agencies in the world. We are dedicated for every client with the highest level of integrity and professionalism. Please go through our website www.seedartbank.com to familiarize with our pages for surrogacy, intended parents and egg donors. We deliver family dreams and want to deliver yours.